Rt. 95 north, take the York exit. During the east coast's recent arctic blast, sea smoke and odd ice formations formed along this stretch of Long Sands Beach in York, ME. 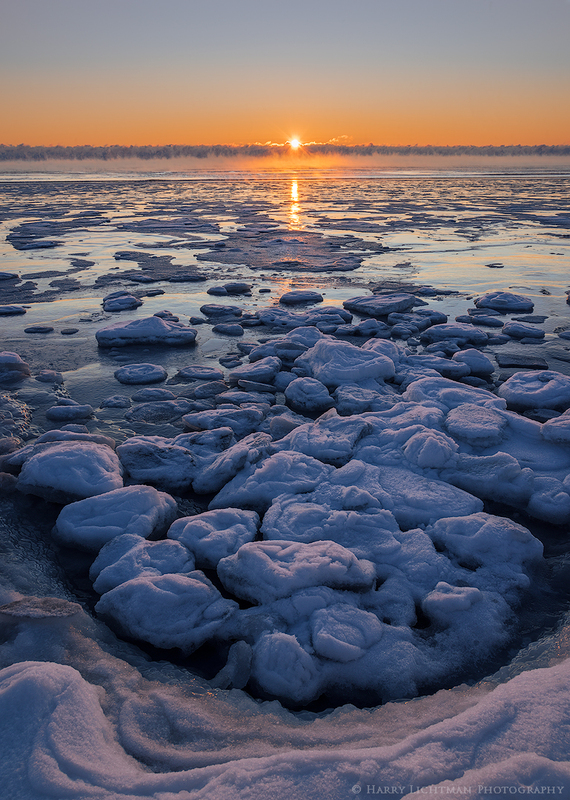 I waited for the rising sun to clear the fog bank and help illuminate the ice slicks that formed on the beach.